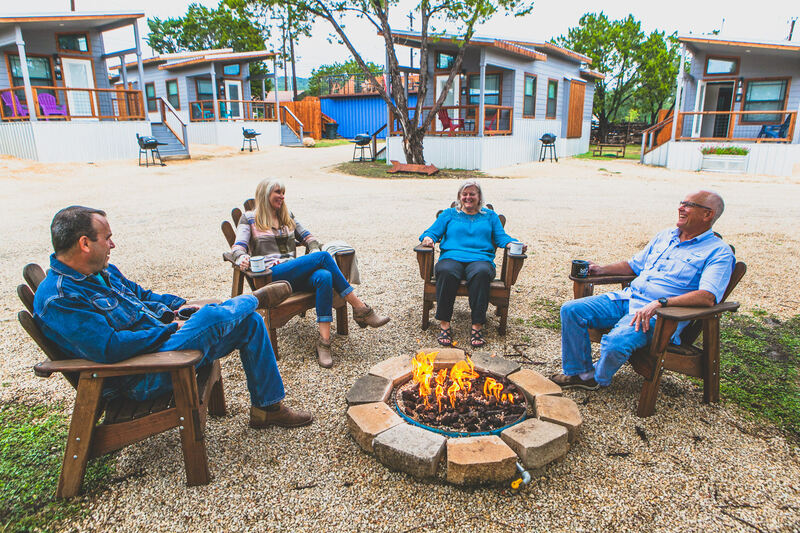 At Mystic Quarry, the wide open spaces, mild temperatures and nearly endless entertainment options of the Texas Hill Country make our Canyon Lake RV park and campground one of the best options for Winter Texan rentals. From a variety of lodging options to our long list of amenities and nearby attractions, there are so many reasons to make Mystic Quarry your home away from home this winter. Read on to learn more about our rental options (just select the image), and contact us today to get more information about our winter rates or see rates under the accommodations section! When you stay at Mystic Quarry, you're in the driver's seat when it comes to how rustic you want your winter getaway to be. For example, our tiny houses can sleep up to six people and include full kitchens, luxury bedding, and hot showers. Or, our dog-friendly cottages can sleep up to four people and allow your four-legged best friend along for the ride! For a more unique Winter getaway, our Native American-inspired, 22-foot diameter tipis are equipped with portable heating and cooling units, deluxe beds and linens, mini-fridges and large-screen television sets. 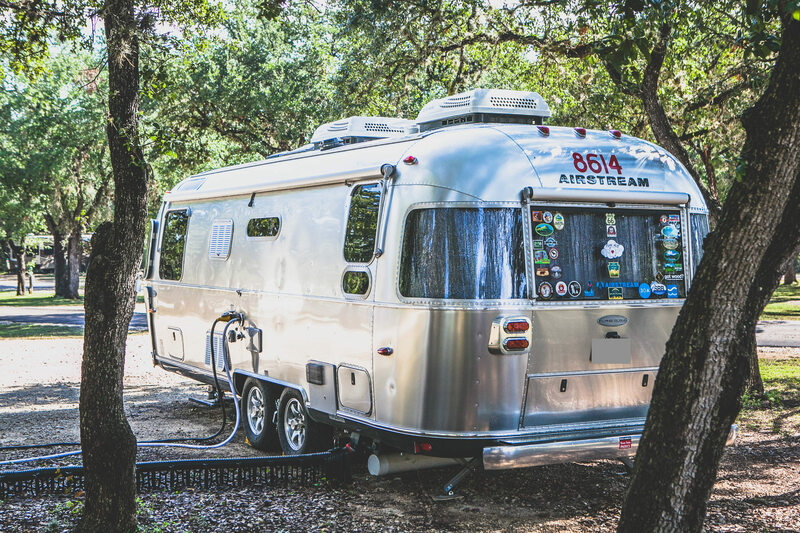 Last but certainly not least, our RV Park comes with full water and electric hook-ups, and are well-appointed and close to a variety of hiking trails and other campground attractions. 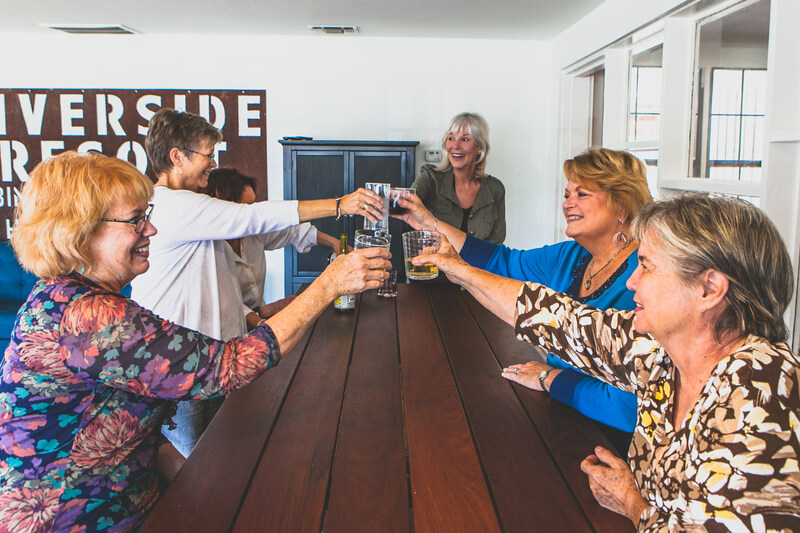 Whether you want to keep up with your fitness routine, grab a bottle of wine from the general store, or plan a rooftop party with your new neighbors, our onsite amenities can make your stay both comfortable and fun! We’ve even added a new Friday night happy hour, where we encourage our guests to come and mingle with their neighbors while trying a new craft beverage. Join us every Friday at 5pm at the recreation hall to enjoy conversation and company with a great group of people. 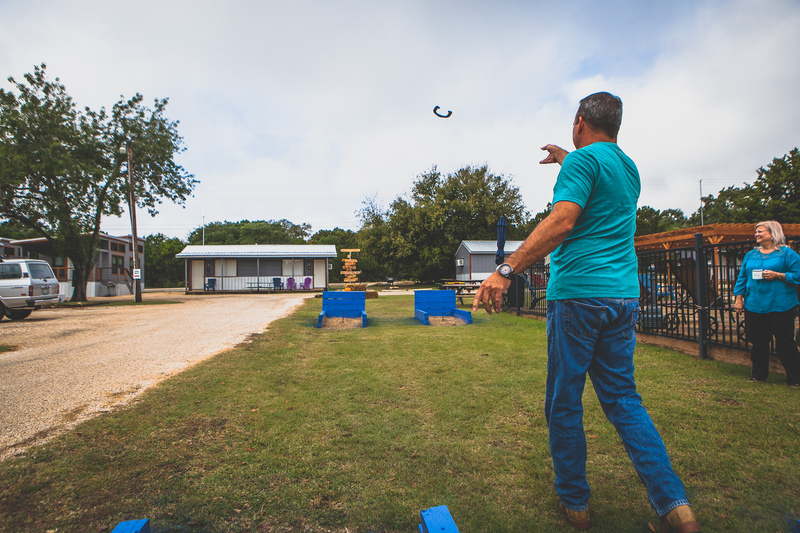 Our Canyon Lake RV resort and campground is located near scenic wilderness trails, natural caverns, water sports and more. We're also just an hour’s drive away from big-city attractions and conveniences in Austin and San Antonio, but you won’t need to go far! The neighboring towns of New Braunfels, San Marcos, Wimberley, Boerne, and Kerrville offer family-friendly attractions for nearly everyone. From live outdoor plays in Wimberley, antique shopping in Boerne, or bargain shopping at the San Marcos outlets, there’s always something to do around Mystic Quarry. We even offer transportation to the famous Whitewater Amphitheater, so you can enjoy a show without worrying about getting home! Our proximity to numerous festivals, museums, golf courses, outlet malls, theaters, farmers' markets and more will make your stay fly by. If 21 acres of natural beauty, luxury amenities, and a convenient location sound like the perfect setting for your next winter getaway, give Mystic Quarry a call today. We look forward to welcoming Winter Texans, and can't wait to make Mystic Quarry your home away from home for the winter season.